Last year, the Moore Theatre celebrated its centennial with deserved fanfare. First envisioned in 1903 by its namesake, James Moore, Seattle’s super-developer at that time, the opening-night curtain did not rise until Dec. 28, 1907. Many in the overflow crowd were devotees of live theater, but although the dulling effects of television were still decades away, the delights of silent films were available. This moment in the Moore’s construction was also recorded in 1907. The theater was built very quickly. Moments before the doors opened to the happy crowd, workers were still installing their seats. 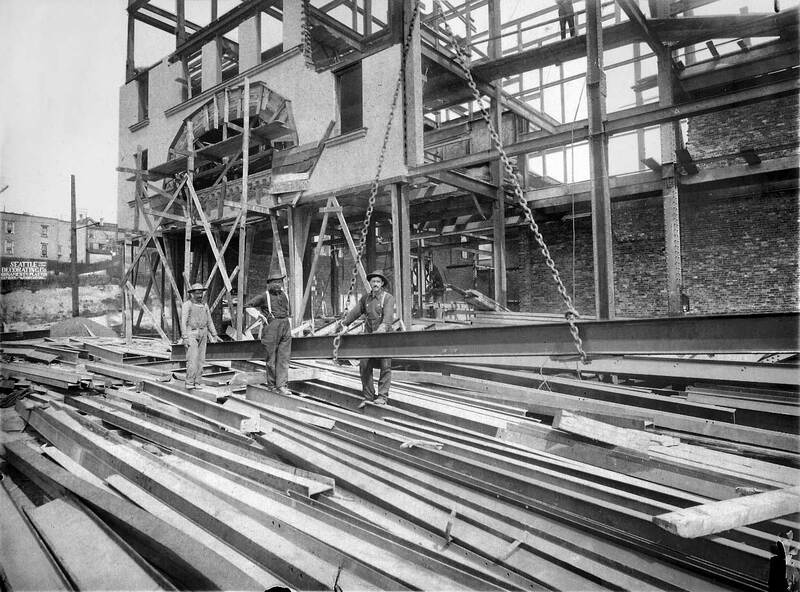 THEN: Steel beams clutter a freshly regraded Second Avenue during the 1907 construction of the Moore Theatre. The view looks north toward Virginia Street. NOW: One hundred and one years later, the Moore is one of the few surviving buildings by the famed early-20th-century theater architect Edwin W. Houghton. This is one of my fav. 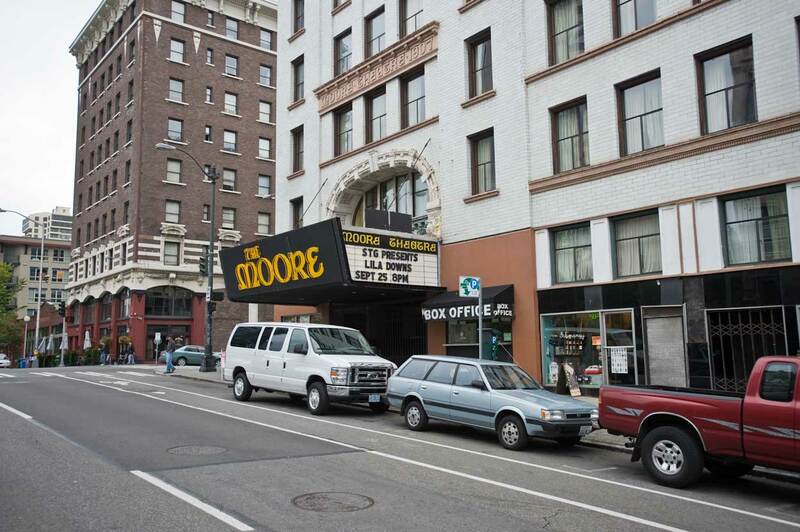 theaters to see music at in Seattle!